I’m thrilled to announce the arrival of Loggly 3.0. The most significant update ever for our cloud-based solution now provides unified log analysis and monitoring, as well as direct, visible connections between logged exceptions and the source code that generated them. With Loggly 3.0, we’re connecting the dots between metrics, root cause analysis via log data, and our customers’ development and operations processes. Loggly 3.0 is the result of months of hard work, from initial surveys to in-depth customer interviews to interactive design mock-up reviews. We received feedback from emerging cloud-based product leaders and Fortune 500 companies, as well as from the largest beta program we’ve ever executed. We’re excited to finally deliver these capabilities to our customers. Enterprises that have deployed modern software solutions–that is, our customers–are facing exploding data volumes generated by dynamic infrastructure, microservices, and countless devices, not to mention the constant change of continuous delivery. Consider this: In a 2017 survey by the Digital Enterprise Journal, respondents reported an average 88% increase in the number of processed metrics, events, and alerts over the last 12 months. While our customers have brought in more and more DevOps solutions and homegrown tools to solve specific pain points, they’re also looking to get more value from their existing solutions. Loggly has answered their call. 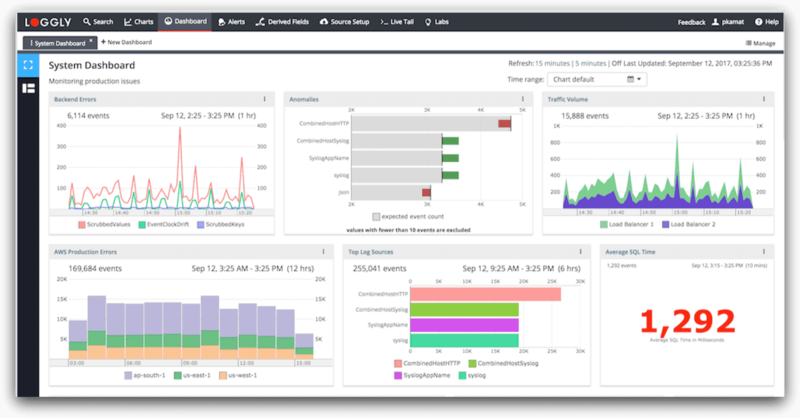 Loggly 3.0 provides comprehensive monitoring with data and metrics from many sources – combined with deep analysis capabilities with log data. We’ve completely redesigned our charts and dashboards so that our users can see the full story with multiple visualization options from which to choose. In addition to the ability to display any log-resident or Amazon CloudWatch metric, Loggly will support metrics collection using the collectd daemon in the fourth quarter of 2017. Next week, we’ll be hosting a webinar featuring Mike Julian, author of Practical Monitoring. He will join Desmond Chan, Senior Director of Product Marketing at Loggly, and Pranay Kamat, Product Manager at Loggly, to discuss monitoring trends and to share a peek at Loggly 3.0. Try Loggly 3.0 for yourself! Loggly 3.0 is now available to trial users and customers with Enterprise subscription plans. Standard and Pro customers will have access within the coming week. The GitHub integration is part of the Enterprise subscription plan and is also available to trial users. Charts and dashboards are available with all Loggly paid plans. Whether you are a long-time Loggly customer or someone who has never taken advantage of our 14-day free trial, it’s time to get started!